Phil Romano has made millions with his restaurant concepts. Now he and two partners plan to transform West Dallas. Can the inventor of the Fuddruckers burger get city building right? On March 4, 2012, the Monday after the weekend-long celebration that opened architect Santiago Calatrava’s bone-blanched Margaret Hunt Hill Bridge, the neighborhood that found itself suddenly connected to the snarl of interstates a half-mile off, went back to looking the way it had for the better part of the previous century. West Dallas’ corrugated steel warehouses and low-slung brick storefronts that date back to the 1920s and 1930s hardly took notice of the few extra cars that began rolling down a recently widened Singleton Boulevard. The vacant lots that had been quickly laid with decomposed granite and crushed concrete for parking were empty after the brief deluge of traffic. And yet, there the bridge loomed, an indelible ribbon of bent steel in the sky, while West Dallas remained—at least on the surface—the same. Yet this development, called Trinity Groves, is only the start of the big plans Romano and company have in store for West Dallas, taking up less than 20 percent of the land the three partners have assembled as part of the investment group West Dallas Investments (WDI). When the bridge opened last year, it not only connected the historically underserved and largely African-American and Hispanic communities of West Dallas to the rest of the city—West Dallas suddenly a two-minute drive from the Convention Center, a five-minute drive from the Lovers Lane exit on Central Expressway. Nor did it merely, as some boosters pronounced, symbolically stitch together the northern and southern sectors of this racially divided city. The Margaret Hunt Hill Bridge connected the city’s highway system to one of the largest real estate speculation deals in Dallas history. If the former mayor was right, then Phil Romano and his two partners will leave as indelible a mark on the landscape of Dallas as Santiago Calatrava has left in our sky. In the process, they’ll become wealthy men—or, in Romano’s case, wealthier. Phil Romano, Stuart Fitts, and Butch McGregor didn’t start buying land in West Dallas so they could build a new city there. “It was a hedge,” says Fitts, a venture capitalist. They all had children who attended the Episcopal School of Dallas, and they wanted to make a long-term investment that would benefit their children. They looked at a map of Dallas and tried to think of the big picture: where would development happen in the next 50 years? What part of town would present the fewest obstacles for urban expansion? In 2005, the Calatrava Bridge was still an unfunded potentiality, the Trinity River Project ensnarled in political wrangling over a toll road. It didn’t take long, however, to discover one reason prices were so low in the forgotten enclave. 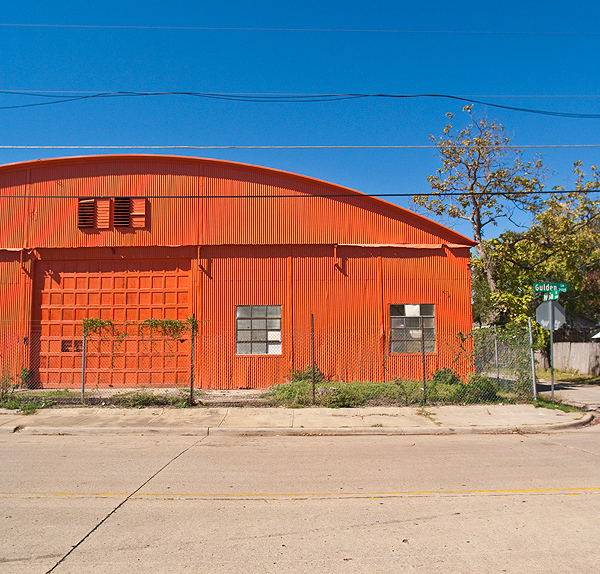 While West Dallas’ urban landscape remained largely unchanged for decades, the underlying status of ownership in the area was tangled and overgrown. Purchasing land was difficult because tracking down who owned the parcels was a nearly impossible task. McGregor was the investment group’s man on the ground, hustling door to door, digging through tax records, tracking down absentee landlords, forging relationships with owners, sometimes attending private family functions. In some cases, land had been handed down for so many generations that members of the family scarcely had any idea they owned it. In other instances, McGregor found himself standing between the 10 siblings who wanted to sell and the two who didn’t. WDI even moved a few owners into houses north of Singleton so they could get their hands on the property that lay within the zone they were purchasing. Assembling the 80 acres took more than 150 transactions. As it turns out, the complicated ownership situation on the far side of the proposed bridge was one of a number of things that scared off potential buyers. WDI had virtually no competition. 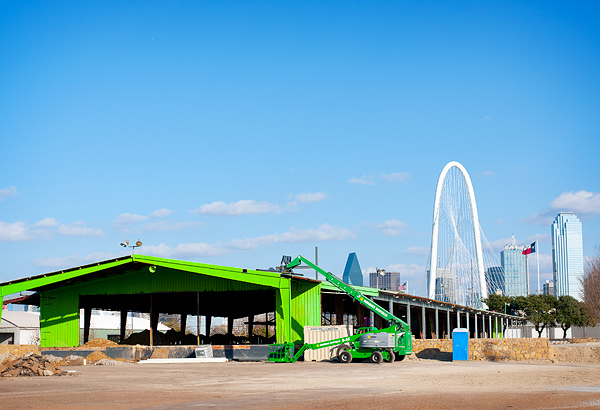 When the bridge was finally funded and construction began and other investors began to take notice of the cheap land in West Dallas, it was too late. To understand how three investors managed to purchase nearly all of the developable land at the foot of the Margaret Hunt Hill Bridge, however, it is not enough to blame titles and complicated ownership situations. You have to understand the history of the neighborhood. West Dallas was shaped by the same forces that have left other parts of the city still seemingly teetering on the edge between the 19th and 20th centuries: racism, poverty, neglect, unchecked industrialization, and failed efforts at social renewal. Through the years, cement plants, chemical factories, and oil refiners led to the settlement of company towns. The neighborhood of La Bajada, which sits closest to the WDI landholdings, began to take shape after the workers who helped build the Trinity River levees in 1931 settled in the newly protected area. In 1934, Murphy Metals (later RSR Corporation), opened a lead smelting plant near the corner of Singleton Boulevard and Westmoreland Road, and for more than half a century, it poisoned tens of thousands of people who lived in West Dallas. West Dallas also was the site of one of the nation’s largest—and most criticized—housing projects, sitting across from the smelter site, turning dilapidated shacks into monolithic, crime-ridden apartment blocks. Even though it was incorporated into Dallas in the early 1950s, residents who grew up there remember not having indoor plumbing, running water, or paved streets well into the 1960s. Some also remember stories of the sharecroppers who, choked off their land during the Great Depression, settled in shanty towns that sprung beneath the Commerce Street Bridge. Among those rural transplants was the Barrow family. And when Clyde Barrow fell for a beautiful, puckish young woman named Bonnie Parker, West Dallas became the place the two fabled renegade lovers couldn’t wait to blow. Even with Babb Bros. BBQ and Hofmann Hots, the first restaurants in Romano and company’s new project, now open, West Dallas today doesn’t look very different than the shanty village that birthed Bonnie and Clyde. The tumble-down shotgun shacks and dilapidated bungalows are still there. Bonnie Parker’s elementary school, a ghostly brick building with a facade marked with faux-castle battlements, sits behind a Walmart-anchored shopping center off Cockrell Hill Road. The little white clapboard Barrow gas station still stands on Singleton. And Clyde Barrow is still here, buried in a tiny cemetery off Fort Worth Avenue. On a cool Sunday in November, Clyde’s grave is marked with plastic flowers, an empty bottle of Jameson’s, and a spent shotgun shell. In a way, you could say Phil Romano has always been in the real estate business. In the late 1960s, he was a college student at Florida Atlantic University, owning and operating a couple of karate schools on the side, when the father of one of the students asked the intrepid young business student to partner with him on The Gladiator, an Italian joint in Lake Park, Florida. It was Romano’s first foray in the industry that would make him rich and famous, but not long after he began, Romano and his partner clashed. Even at 72, Romano still has a sturdy build, stocky and barrel chested, with a strong, square jaw. It is not hard to imagine him as the young, hardworking Italian karate teacher from Auburn, New York, with dark skin and a Yankee accent, butting up against his first business partner. His partner was going to buy him out, and Romano didn’t have the money to counter the offer. It looked like he was going to exit the restaurant business as quickly as he fell into it, when Romano’s father, Sam, stepped in. Turns out, Sam Romano did find the money, but there was no funny business. He raised the funds the American way, by mortgaging the family home. If Romano and company fail in West Dallas, the three investors aren’t likely to end up out in the street, but there is still a good deal of money and pride on the line. Off Singleton, in a block-long warehouse that houses the West Dallas Investment offices, a large model shows a vision for the new West Dallas: high-rise hotels and office buildings flocked by four- and five-story apartments. Boulevards cut south from Singleton and under the railroad tracks that run out from Dallas toward Fort Worth. Around the railroad, there’s a commuter rail station at the center of a dense cluster of buildings. West Dallas looks like a second downtown.